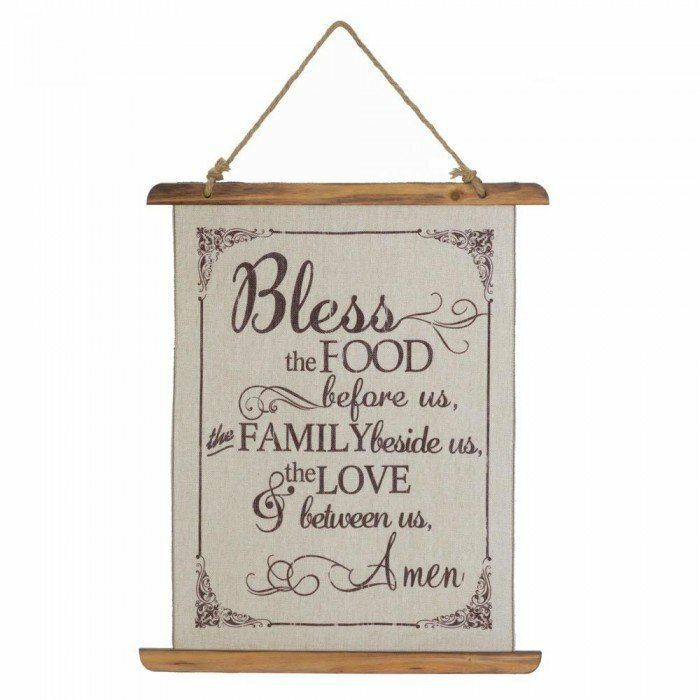 BLESS FOOD LINEN WALL ART by Accent Plus home decor, jewelry, decor, decorations, electronics, fountains, floor mats, art glass, vases, garden essentials, fireplace screens. A great reminder to be thankful at mealtime! Hang this pretty linen scroll in your dining room or by the kitchen table. It reads, "Bless the food before us, the family beside us, & the love between us. Amen." Material(s): LINEN FABRIC ROPE WOOD - FIR. Weight	0.6 pounds. Dimensions	17.8" x 0.75" x 21.8".